ONE OF the most surprising things about Gold Coast's start to 2019 is its frugal defence. After three rounds the Suns have conceded the third least points (70 a game) and is ranked third for scores conceded from each inside 50. It's a far cry from the team that gave up near-on 100 points a game in 2018 and was widely known as one of the easiest teams to score against. What makes the early season turnaround even more impressive is the change in personnel to the back six – or more specifically back seven – from last year. Steven May and Kade Kolodjashnij are gone (both to Melbourne), while reliable Rory Thompson did his ACL on the eve of the season. In came Jack Hombsch (Port Adelaide) and Sam Collins (VFL), while second-year player Charlie Ballard has stepped up to take on the role as third tall defender. 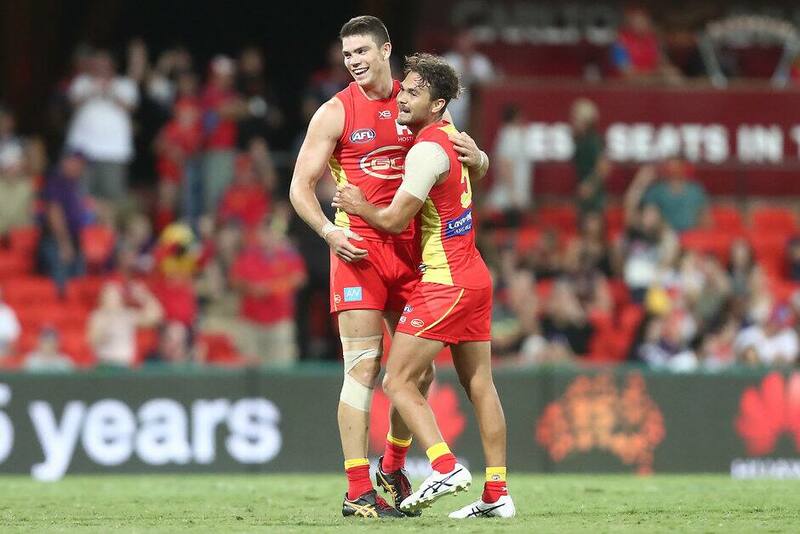 One constant is 2018 best and fairest winner Jarrod Harbrow, who told AFL.com.au it was unfair to heap all the praise on Gold Coast's defenders. "A lot of it comes down to upfield pressure from our forwards and our mids," Harbrow said. "I think the ball's coming in more on our terms, they're not lace-out kicks with forwards leading up through the 50 and taking marks and having set shots from in front. "It's the pressure from upfield. "We put a lot of work in during the week, training at a high intensity and keeping each other accountable. "A lot of it comes down to effort and winning your contest." FULL INJURY LIST Who's ruled out and who's a test? That pressure upfield Harbrow speaks of has led directly to more intercept marks for the Suns. Collins and Harbrow are both ranked in the top 10 in the competition in that category, while Hombsch also sneaks into the top 25. Harbrow paid credit to new defensive coach Josh Drummond and said the introduction of Collins and Hombsch had brought confidence to the team. "They're getting their contest right and beating their man," he said. "Rarely do you see those boys getting beaten one on one." And what about absorbing pressure late in matches the past two weeks when Gold Coast have snuck home by less than a goal against Fremantle and the Western Bulldogs? "We've trained those scenarios," Harbrow said. "We know what we've done during the week. It might look like we're scrapping but we're confident in our setups. "Some of those games just come down to effort and who wants it more. "Dewy (coach Stuart Dew) mentioned he's been stressing in the coach's box, up there in the airconditioned room, we're out on the field stressing as well," he laughed.